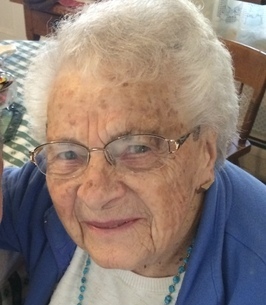 Marion (Whiting) Locke, 96, passed away surrounded by her loving family at The Manor in Morrisville on Wednesday November 14, 2018. She was born on November 6, 1922 in Mankato, Minnesota daughter of the late Zack and Ellen (Fisher) Whiting. Marion graduated as the Salutatorian from Jericho High School in 1940, and attended Johnson Normal School where she graduated with her Teaching Certificate. Marion married Wilbur on June 18, 1943 in El Paso,TX but made their home in Waterville, VT.
Marion was a school teacher most of her adult life, but took a few years off after buying and helping run “Locke’s IGA” for 13 years. She returned to teaching after the sale of the store. Marion was a faithful member of the Waterville Union Church where she sang in the choir for many years. She taught Sunday School and Vacation Bible School and served as the Sunday School Superintendent. She served as a long time member of the Waterville Ladies Aid, Waterville Cemetery Association, and Waterville Historical Society. She was referred to as the historian of Waterville. She served as Justice of the Peace, and a School Board member. She was a member of the Lamoille Retired Teachers Association and Delta Kappa Gamma. She was a long time member of The Eastern Star and received her 70 year pin from the Johnson Chapter of The Eastern Star two years ago. Marion enjoyed quilting and participated in numerous craft shows with her sisters where they exhibited their “Sister’s Choice” creations. Marion was known to many as “Gram” or “Grammie” Locke. She was a wonderful cook and baker and anyone who visited her knew they were always welcome to go into her pantry to find a sweet treat. She loved preparing meals and helping her family or community in any way possible. She cherished spending time with her family near and far. She loved to travel out west to visit her daughter Kathi and her grandchildren, great-grandchildren, and great-great grandchildren. 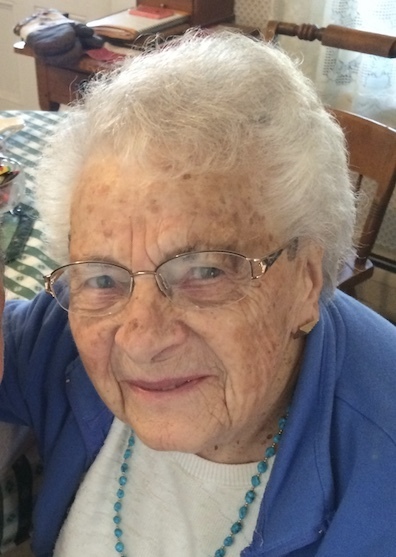 She also enjoyed spending Sunday afternoons in Belvidere for sliding parties in the winter and barbecues in the summer with family and friends. Marion’s heart and soul was her family, which she loved unconditionally. Marion is survived by her son Stephen Locke and partner Penny Baker of Belvidere; her daughter Kathi Locke of Arizona, two sisters Mildred Sargent and Alice Whiting both of Johnson, 6 grandchildren: Nicole Carney and husband Paul of Essex Junction; Kylee Bezio and husband Bart of Waterville; Ana McAllister and husband Paul of Belvidere; Mark Adams and wife Grace of Arizona; Jess Adams and wife Sarah of Arizona; Jeremy Adams of Washington; twelve great grandchildren: Elise Carney; Jack Carney; Seth Carney; Caleb Bezio; Meghan Bezio; Hayley Bezio; Paul “Gabe” McAllister; Kenneth Tourangeau and wife Sarah; Harley Yokey and husband William; Max Adams; Finley Adams; Andrew Adams; three Great Great Grandchildren: Micah Tourangeau; Tucker Tourangeau and Luka Yokey and several nieces and nephews. She was predeceased by her husband Wilbur Locke, brother Arthur Whiting, and two sisters Lois W Tatro and Helen W Neill. Visiting hours will be held on Friday November 23, 2018 from 5:00 – 8:00 p.m. at A W Rich Funeral Home – Fairfax Chapel. A memorial service will be held on Saturday November 24, 2018 at 11:00 a.m. at Waterville Union Church with a celebration of life to follow at the Waterville Town Hall. The family also invites you share your memories and condolences by visiting www.awrfh.com. 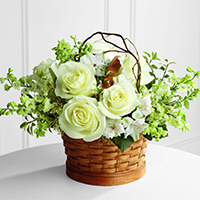 In lieu of flowers contributions can be made to: Waterville Union Church, 37 Church Street, Waterville, VT 05492. Additional Information	Visiting hours will be held on Friday November 23, 2018 from 5:00 – 8:00 p.m. at A W Rich Funeral Home – Fairfax Chapel. A memorial service will be held on Saturday November 24, 2018 at 11:00 a.m. at Waterville Union Church with a celebration of life to follow at the Waterville Town Hall. I am very sorry for the recent loss of your dear loved one. I have a brief encouraging message I would like to share with you from the Bible. The Bible can be a great source of both comfort and hope during this most difficult time in your lives. For an example, at Revelation 21:3-5 it assures us that the day is soon coming when our most loving Heavenly Father is going to wipe away the tears of sorrow from our eyes and that even pain and death will be no more. I hope after reading this it will be of some comfort to each one of you. If later you would like to learn more from the Bible about why we die or why does a loving God allow so much suffering and injustice, please feel free to go to the website: jw. org to find satisfying answers. With love and deepest sympathy. Marion touched so many lives in her own gentle and beautiful way. Damian and I were the last couple she married as "Justice of the Peace" in her front parlor. A memory we will always treasure. Our quilted table runner from the "Sisters Choice" will take it's place of honor on our holiday table this year with new meaning. Her love lives on in her beloved family, and in the hearts of the many friends and neighbors who adored her. So sorry to hear of Marions passing. She was a very special person an will be missed by many. She was my teacher, employer and I considered her a friend. Please accept my deepest sympathy.